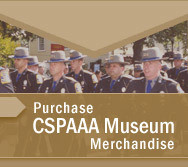 Keep track of upcoming events and milestones associated with the Connecticut State Police Museum & Educational Center. For more information regarding any event listed on this site, please contact us. Copyright ï¿½ 2005-2019 Connecticut State Police Academy Alumni Association. All rights reserved.